This Victorinox Dive Master 500 womens dive watch is ideal for a woman who like to switch between casual, sporty and elegant without changing her watch. The Victorinox Dive Master 500 features a black PVD stainless steel case with a white rubber strap, a uni-directional rotating black PVD bezel with white dial and luminous hands to accompany the dot hour markers. 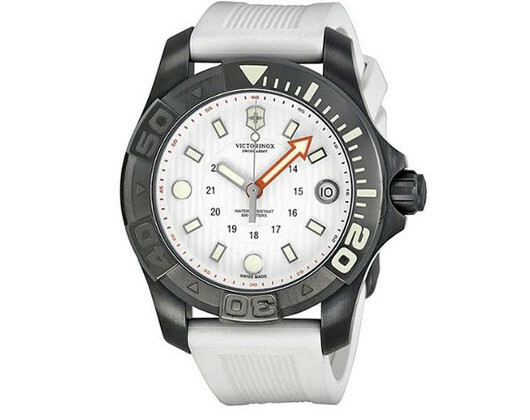 Buy your womens Victorinox dive master 500 watch for only $240, click here! Victorinox Womens Dive Watch : Victorinox Watches South Africa 0 out of 5 based on 0 ratings. 0 user reviews.